I watched "Inside Out" just a few weeks ago, and then I found some brain science stuff that's based on the movie. 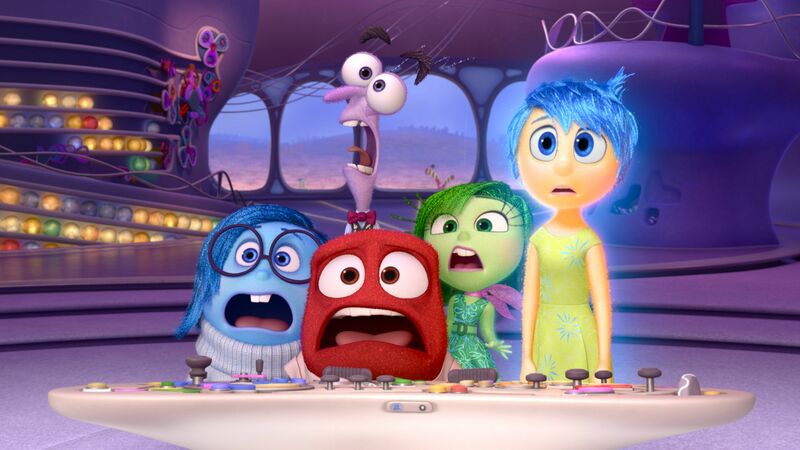 There are five characters in "Inside Out" that each represent certain emotions – Joy, Sadness, Fear, Disgust and Anger. They are really cute, but in reality the human brain is not exactly separated into certain characters, or parts that can feel different kinds of emotions. Scientists say that it’s more likely that many parts of the brain work together in a kind of large network. Do you remember the gleaming memory balls in the movie? The memory balls are only short-term memories when they've just fallen into the headquarters. When Riley falls asleep, the memory balls roll through the glass tunnel to the long-term memory area. This is when your memory goes to the cerebral cortex(a thin layer that covers the brain). Joy: "So this must be the cerebral cortex!" Also, when short-term memories become long-term ones, they must become abstract first. That’s when Joy, Sadness and Bing Bong suddenly turn into low-dimensional figures. Just talking about Bing Bong, have you ever wondered why he was forgotten? People usually forget many things that happened in their childhood. That’s because the neurons that take charge of the memories change to new ones when a person turns 8 years old or so. I guess what we should remember is that “Inside Out” is not a scientific movie; it’s something that should be dealt with our own emotions.